Trying to organise a full scale office removal, while managing your business properly at the same time, is a test of nerve and managerial skills, even for seasoned owners and managers, who have had to move offices in the past. Indeed, there are quite a few issues and considerations to account for when it comes to full scale office relocations. Office removals also go over budget quite easily as unexpected issues or small mishaps along the way can amount to damages or costly delays, which can put a real damper on your day. Hackney Wick Office Removals can help you make your office removal swift and manageable without the usual high costs associated with specialised removals. Yes, we do provide professional grade office removals of the highest quality, but we won’t charge you a pretty penny for it. Our aim is simple, we want to provide business customers with punctual, attentive and highly efficient office removal solutions which cover general and specific requirements in the most professional and cost effective fashion. We have the technical capacity and industry expertise to organise and carry out any type of office relocation, despite its size or complexity. We will plan and execute all stages of the removal, including prep work, and follow up services. Our team efforts and ground work are coordinated by a qualified logistics specialist who supervises the entire relocation and ensures each stage of the process is carried out according to plan and schedule. If necessary, your office relocation can be scheduled for an off peak time, like after business hours or on weekends, which will make the whole process swifter and less hectic. Should you have any additional requirements or considerations concerning your office removal, please discuss those with our site coordinators. 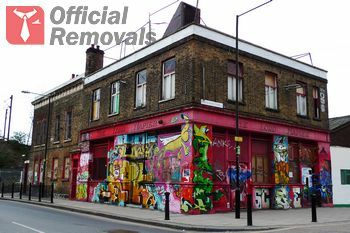 Hackney Wick Office Removals aims to deliver nothing but the best service and outstanding results, which means ensuring safe handling and damage-free transportation, as damage or misplacement of items along the way is totally unacceptable. Our well organised and diligent mover teams are made up of qualified, experienced professionals who have the required practical skills and expertise.